Launching on Tiny Pop on 2 October 2015, at 7pm, this is the first time Miffy will be seen in CGI and is ideal for bedtime. 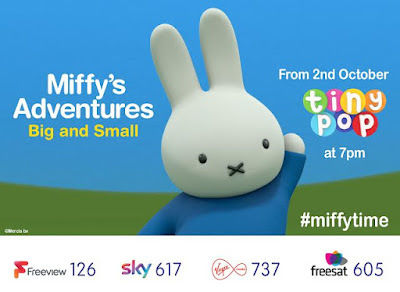 The episodes in the series are a comfortable 7 minutes long, perfect for your pre-school viewers. 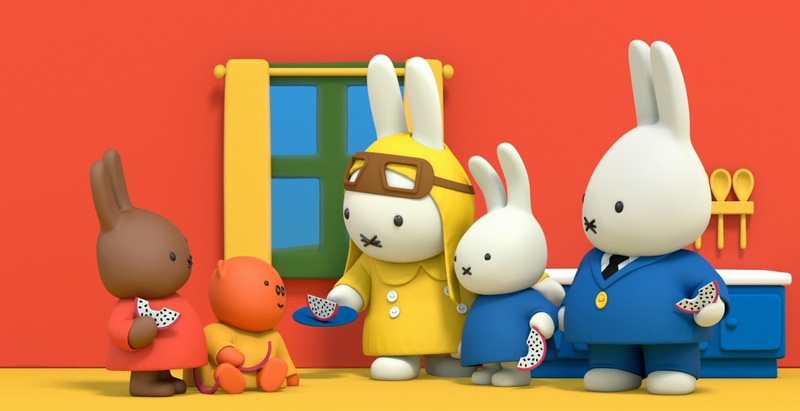 The episodes in Miffy’s Adventures: Big and Small see Miffy and her friends exploring the exciting world around them. Using simple words and plenty of song, the tales introduce new experiences and objects for discussion, and your little children will learn new concepts and expand their vocabulary. The little white bunny is celebrating her birthday in the UK by raising money for Bliss, the national charity for premature and sick babies, supporting their work through fundraising activities throughout the year, including sales of a special Miffy Bliss Comfort Blanket suitable for premature newborns. 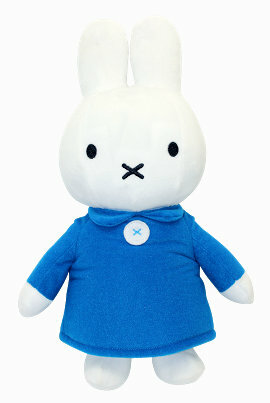 The people behind Miffy have also very kindly offered a brilliant Sensory Miffy toy for one of my readers. Sensory Miffy helps children learn about the body. She has 14 sensors which the child presses to hear what she has to say. She is made from colourful textured fabrics, suitable for children aged 6 months and older and is sure to be a massive hit this Christmas. 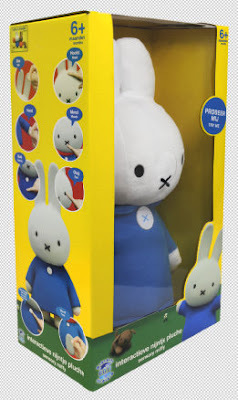 For your chance to win Sensory Miffy please enter using the Gleam form below. No entry is mandatory, and each extra entry will earn you more chances to win the prize. Uk entries only please. The giveaway will end at midnight Wednesday 21st October. I remember reading Milly Molly Mandy Books and I had a huge et of the Read it Yourself Ladybird books! I remember loving the Mr Men books I collected them. I remember Burglar Bill being a favourite of mine. Winnie the Witch was one of my favourites! I loved The meg and mog books and the funnybones books. as i grew older i enjoyed The Famous Five and The Secret Seven books. The hungry caterpillar. Thanks for the lovely giveaway. My earliest memory is all the Roald Dahl books, loved them. Carrie's War by Nine Bawden, all the Roald Dahl's & Enid Blyton books. Each Peach Pear Plum :) I just bought it for my son too from the charity shop for 25p! I remember Miffy as a child. I loved Miffy too, and Beatrix Potter, particularly Mrs Tigglewinkle. I had lots of favourites,and now they all mixed up in my mind with my daughter's favourites too. We loved that Tiger who came to tea. i think is ladybird book. Enid Blyton's The Magic Faraway Tree and Spot too! We used to love the Chicken licken book! Has to be Dr. Seuss! I loved the magic faraway tree by Enid Blyton. Moonface was my favourite character. I never liked reading and I can't remember any books other than some old hand-me-down Janet and John books. I do, however, love reading with the children and The Very Hungry Caterpillar is my favourite. I think the earliest books I remember are the Roald Dahl books. James and the Giant peach & charlie and the chocolate factory are my favourite! Oh wow, I remember Puddle Lane! I loved Kurri Kurri the Kookaburra which my aunt sent me from Australia. The tiger who came to tea, alfie books by shirley hughes and topsy and tim! We liked Curious George books. Charlotte's Web was my absolute favourite..still is! I absolutely loved Alice in Wonderland. I read this book so many times as a child. As a child I used to love reading (still do, but have much less free time now). When I was small I loved Winnie the Pooh and all the Beatrix Potter books; my particular favourite was The Tailor of Gloucester.